TOKYO (Yonhap) -- Japan has taken exception to South Korea's action following the two sides' recent talks on the ongoing military radar row, reports claimed Wednesday. Kyodo News said the Japanese defense ministry was up in arms about South Korea's announcement of incorrect information about the spat earlier this week. The two countries met in Singapore on Monday with the goal of narrowing their differences on the situation. Tokyo has accused a South Korean warship of locking fire-control radar on its maritime patrol aircraft. 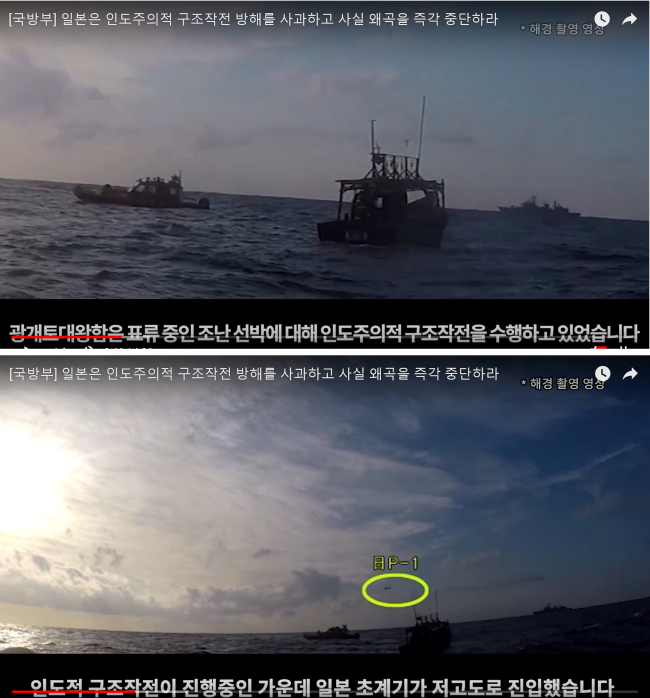 Seoul has rejected the claim, saying the ship was on a mission to rescue a North Korean ship drifting in the international waters of the East Sea. On Tuesday, Seoul's defense ministry said Japan demanded South Korea offer all information on the warship's radar equipment while refusing to divulge data key to resolving the dispute. The ministry called the demand, made during the Singapore meeting, "hardly acceptable and rude." Japan's defense ministry told Kyodo that South Korea made its announcement without prior consultation with Tokyo. The ministry added that Seoul also hinted that Japan admitted to allowing its planes to fly at low altitude toward South Korean warships in a threatening posture. The ministry denied its patrol planes have ever flown to intimidate South Korea, nor did it make any acknowledgements on that front in Singapore. In a separate report, NHK said Japan's defense ministry denied having made the demand as announced by Seoul. Both reports said the defense ministry in Tokyo summoned South Korean military attache to lodge a formal complaint and demanded a retraction by its Seoul counterpart.